In 2010, Bungie went through a number of radical changes. It left behind its parent company, Microsoft, to become an independent game developer, struck up a 10-year deal with Activision, moved into a new studio space, and left Master Chief and the ring-shaped world of Halo behind to begin work on a new universe. Bungie has always been a secretive company, keeping its projects tightly locked behind key card protected doors. Its first new project as an independent developer, codenamed Destiny, has been no exception, but the studio that established some of the most important innovations in online multiplayer gaming and console first-person shooters has finally opened its doors to reveal its bold new universe. The first big disclosure is that Destiny is no longer a code name, but the official title of Bungie’s next expansive universe. Destiny takes place on the planet Earth, but well into the future when a mysterious weapon destroyed most of the planet and its inhabitants at the end of humanity’s Golden Age. One city remains, however, surviving thanks to the intervention of The Traveler. 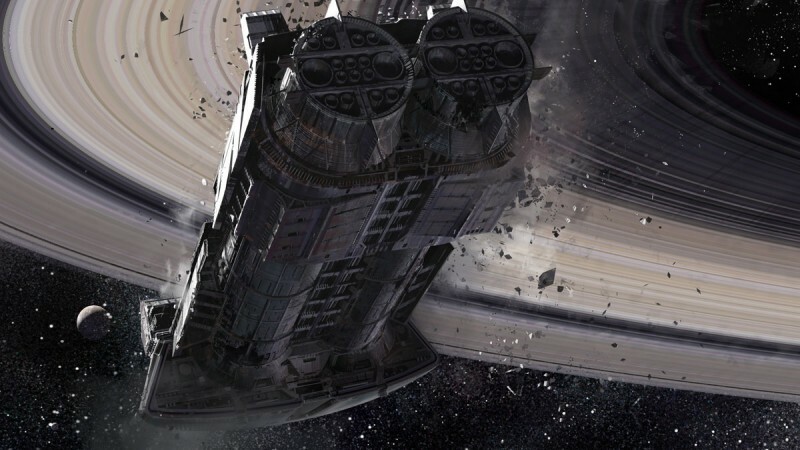 The Traveler is a gigantic moon shaped ship that looms over the Earth’s last surviving city. No one knows what The Traveler is, or where it came from, but it saved humanity by making sure a small population survived. Players take on the roles of The Guardians, the protectors of the city who receive power from the Traveler. Each player creates his or her own guardian and can customize everything about them, including their appearance, class, weapons, and ship. Bungie didn’t divulge the differentiations between each class, but it spoke of hunters, titans, and warlocks. As a protector of the city, you live in a persistent and changing world, venturing into the Earth’s ruins on missions to explore and collect loot. You can even venture outside of Earth to visit the other planets of our solar system like Venus and Mars. Ambiguous powers emanate from The Traveler, empowering Earth’s Guardians with a magical force. It sounds similar to Star Wars’ Force powers, but even at this very early preliminary stage, Bungie’s new world feels distinct. Head to page two to learn how Bungie is building Destiny's shared world shooter. Bungie calls Destiny the world’s first shared world shooter. 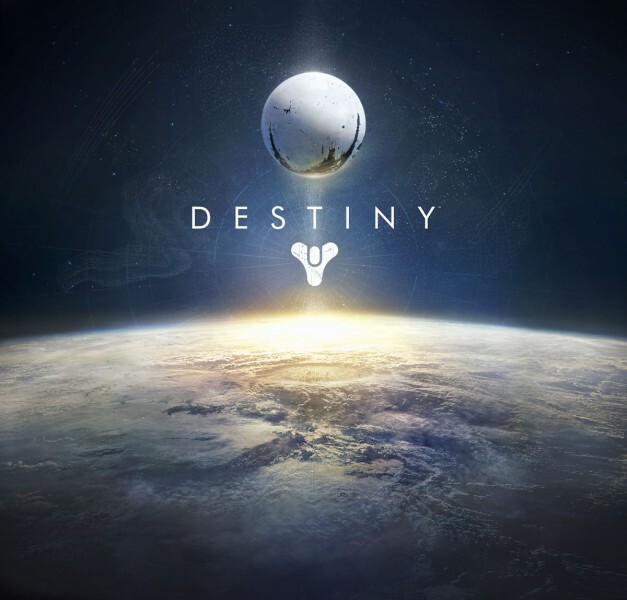 Similar to the structure of a massively multiplayer RPG, Destiny is always online, with players working together and apart in order to craft their own stories and pursue their own goals. Bungie didn’t talk about microtransactions, or even the initial cost of the game, but it was quick to establish that although the game will not be free to play, it will not require a monthly fee. Bungie is a proven expert behind the barrel of a virtual gun, establishing many elements of the genre that are now commonplace. Systems like the limitation of carrying only two weapons and rechargeable health both began with Halo. For Destiny, Bungie is taking a cue from other shooters for a small, but substantial change to its gunplay. For the first time in a Bungie game, players can pull up the iron sights of their weapons in order to fire. With Halo 2, Bungie crafted online matchmaking, and it has been perfecting the process of joining players together online for the last decade. Destiny is the next planned evolution of the matchmaking system. Without the assistance of menus or queue lists, Bungie wants players to dive into the world of Destiny with strangers and friends alike to craft their own stories and compete against one another. Every player is on his or her own adventure, but paths will cross. Bungie didn’t show how this process works firsthand, but the closest comparison seems to be the innovative multiplayer in 2012’s Journey. 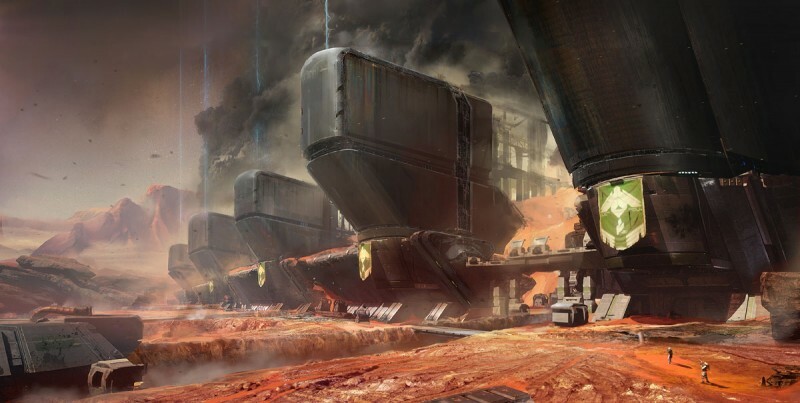 Bungie described an elaborate scenario where two guardians meet in the city and decide to head to a location on Mars called the Dust Palace in order to hopefully find worthwhile loot. The two jump in a space ship and head toward the planet, passing by The Traveler as they head to Mars. Once there, they encounter one of many enemy types called the Cabal. The two hold out as best they can against these powerful enemies, when a player who was also on a trip to Mars joins their fray. As Bungie describes it, this new Guardian’s appearance is a product of matchmaking that happens in the background with no intervention from the player. There are no requests for a player to join, and the player who joins did not pick a game they wanted to join. They simply made their way towards Mars, saw some Guardians in need of assistance, and jumped into the skirmish. When the enemies are dispatched, they enter the Dust Palace to claim their new firepower rewards. Bungie’s focus for Destiny seems to be on cooperative play, but it did acknowledge that there will be competitive multiplayer, as well. How it fits into Destiny, or how players would access these matches were details Bungie was not ready to share. After collecting a new weapon, which Destiny writer and design director Joseph Staten describes as a weapon that, “glows like starlight when I prime its magazine,” players can part ways or stick together to head back to Earth. By the time they arrive home, the sun has set and darkness shrouds the city. Destiny runs on a brand new Bungie crafted engine that required so much work and problem solving that senior graphic designer Hao Chen jokes it turned his hair gray. With day and night cycles that radically change the color and lighting, Destiny’s world lives and breathes regardless of the player’s actions. 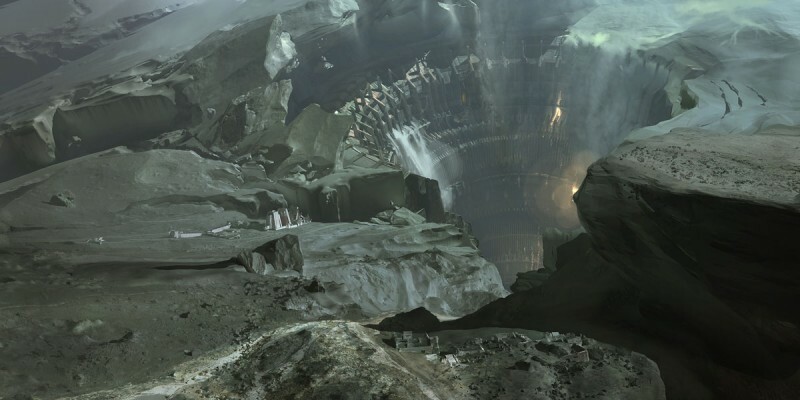 Bungie developed an internal level creation tool called the Grognok World Building Tool. This tool gives designers a whole new lightning fast process for building Destiny’s world, which will ultimately benefit the player and how much content Destiny will be able to offer. A time lapse video showcasing the new tool features a large level being built in a matter of moments with extreme detail. 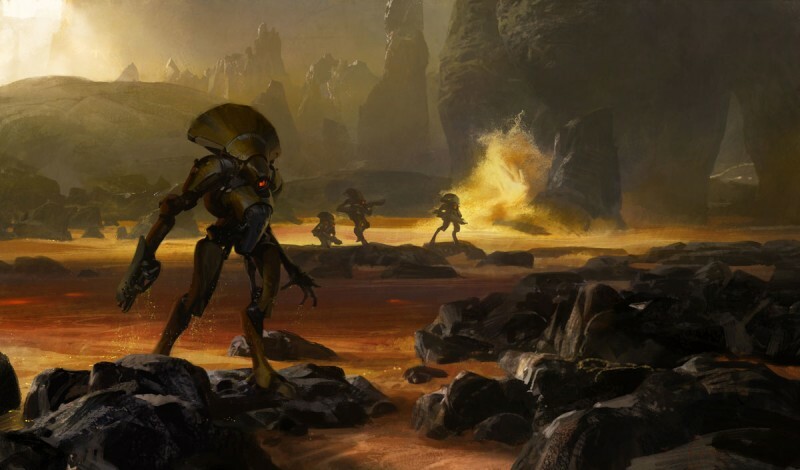 One of Bungie’s many goals for its new project is that it wants players to have new experiences with each venture into Destiny, and with Grognok, artists and designers have the tools to create and expand Destiny’s world at speeds it never could with Halo. Head to page three to learn about Destiny's music and its hopeful apocalypse. Most video game studios hire talented freelance composers to build their soundtracks for them, but not Bungie. 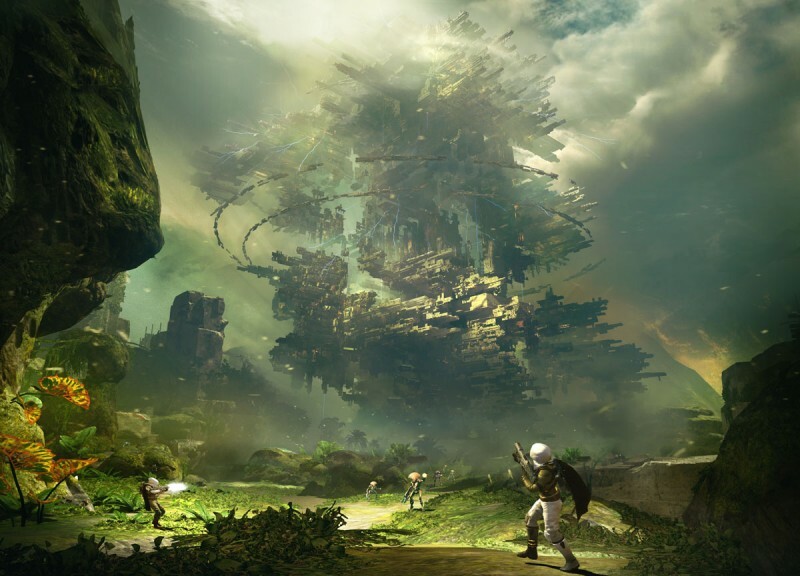 Martin O'Donnell is a full-time employee with Bungie, and the only people who have been with the studio longer than him are those who started the company. If you’ve played any of Bungie’s Halo games, you know that the soundtrack is one of the most defining elements of the series. For Destiny, O’Donnell has created a whole new soundtrack that heightens the cinematic intensity. 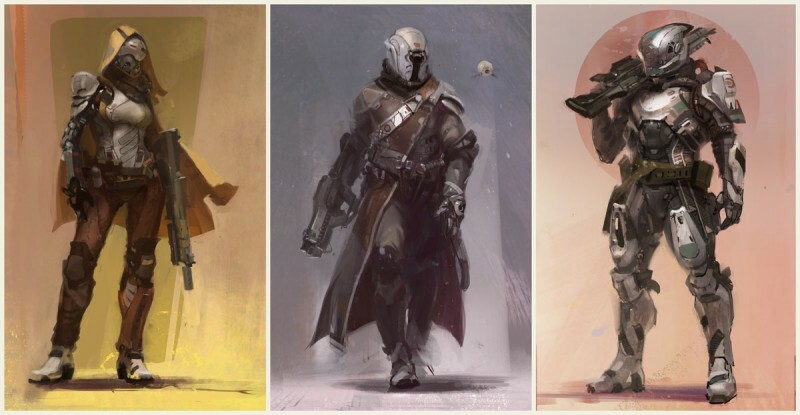 The Destiny presentation showcased lots of visual aspects of the game, including glimpses of the engine and plenty of concept art. For O'Donnell’s section of the presentation, he showed a PowerPoint slide with his name and title, and then turned off the projector, dimmed the lights, and played snippets of the soundtrack. Hearing Destiny’s music was one of the highlights the event. You can still hear some of O’Donnell’s signature flourishes, like the use of choruses and human voices, but Destiny’s soundtrack is distinct from Halo’s. It abandons the heavy percussion focus in favor of a theme that seems to mix John Williams’ best science-fiction work with O'Donnell ‘s memorable violin riffs. We heard optimistic soft tracks presumably written to highlight successful missions, as well as combat music that offered a sense of high seas ship battles. The stirring tracks easily live up to O'Donnell ‘s excellent reputation of knowing how to tell a science-fiction story with music. What will Destiny call home? 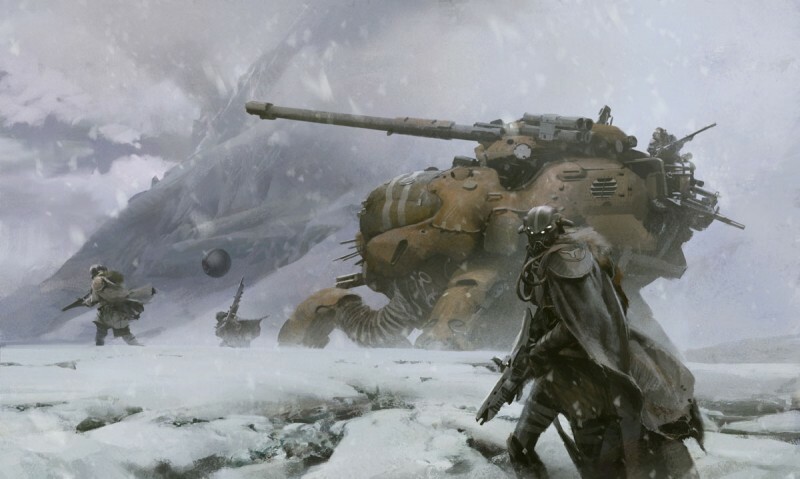 Bungie says Destiny is coming to Xbox 360 and PlayStation 3, and made no mention of next generation consoles or PC. Bungie said that it makes console shooters, so playing with anything other than a controller seems unlikely. The game also has a mobile component. Though details were minimal, Bungie showed off a Destiny app for iOS that allows players to send and accept invitations to play, as well as customize their Guardians. Video game worlds often showcase bleak post-apocalyptic worlds. Games like Fallout and Gears of War feature dark worlds where characters don’t know what the future holds, and some don’t want to know, preferring to focus on the present. 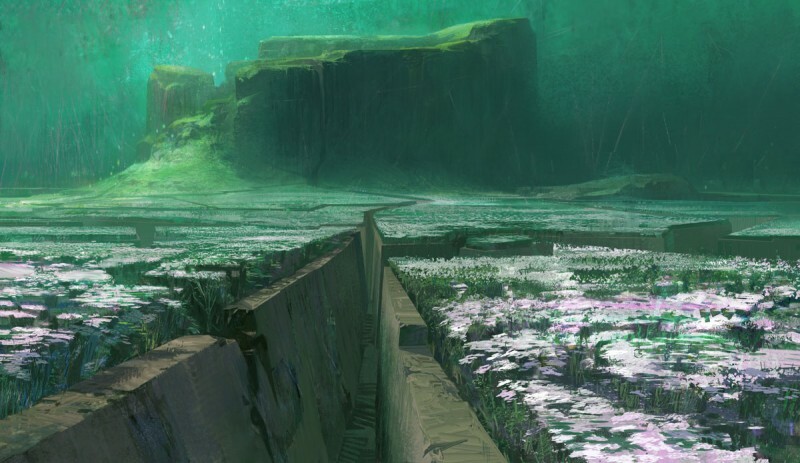 Destiny may take place after a major global disaster, but everything from the concept art to the soundtrack represents a hopeful world where humans are doing more than surviving – they are fighting for the future. This is part of Bungie’s plan. It wants to create a world that is inviting and interesting and appeals to all gamers, even the “impatient and distracted ones,” says project director Jason Jones. 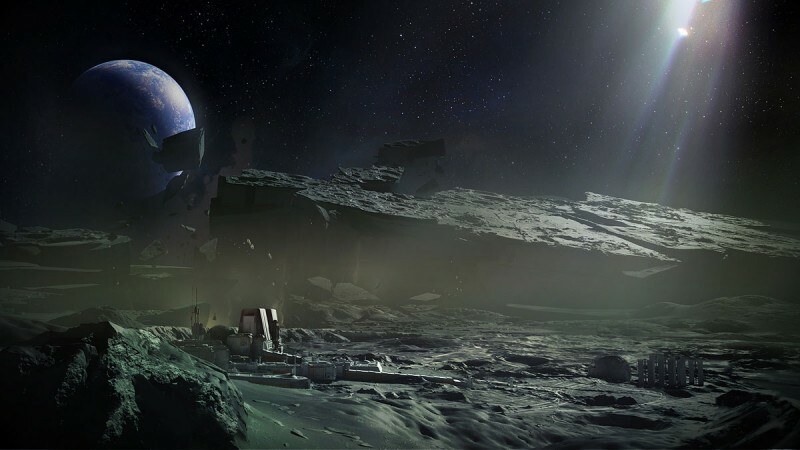 Bungie has yet to showcase Destiny’s gameplay, but it has established an interesting world and laid the foundation for the expansive narrative. The studio wants to show it can add more to its legacy than Master Chief, and they’re going all in on Destiny. “We hope you’ll agree – it’s really crazy,” Jones says. For more on Destiny, check out this documentary from Bungie.